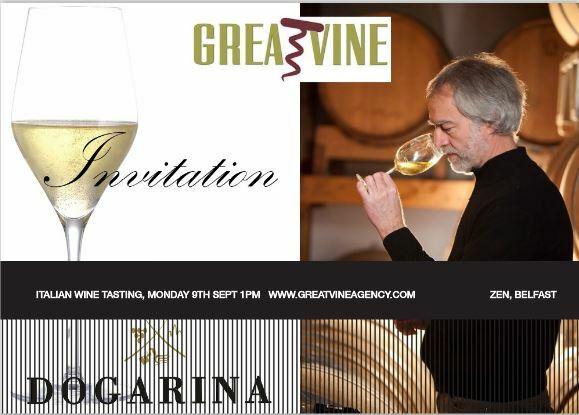 We are delighted to announce that Veronica Vecchiato of the Veneto based Dogarina winery will be flying into Belfast to conduct a professional wine tasting with food and wine pairing at lunchtime (1p.m.) on Monday 9th September 2013. 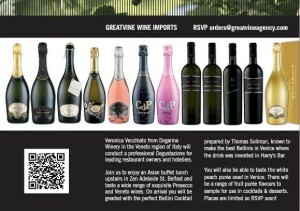 The event will be hosted upstairs in Zen, Adelaide Street, Belfast. Guests from the hospitality industry will be able to try a wide range of exquisite Prosecco and wines from the Veneto region of Italy and enjoy an Asian buffet lunch at Zen. 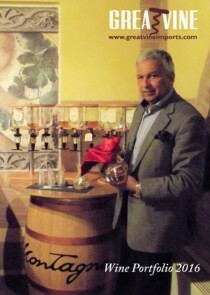 On arrival guests will be greeted with a glass of the perfect Bellini cocktail prepared by Thomas of GreatVine, who is said to make the best Bellini cocktails in Venice. The Bellini will be made with the same white peach puree used in Venice by Hotels & Restaurants where the cocktail was first invented in Harry’s Bar. In fact there will be a range of fruit puree flavours from the same manufacturer to taste and order at the event. They are the fruit puree of choice in the hospitality industry in Italy and can be used in cocktails, desserts and savoury dishes. 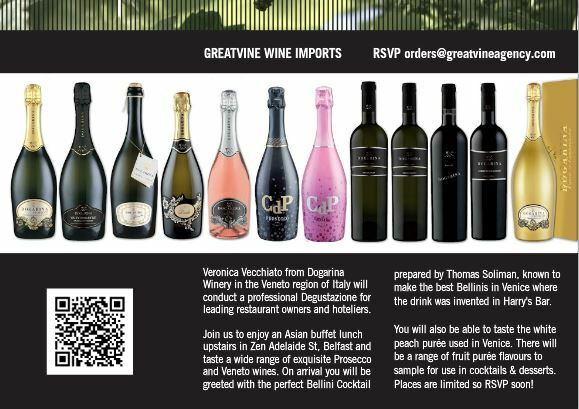 Guests are encouraged to bring along their business cards for the draw to win a Limited Edition 1.5 Litre Gold Magnum of Dogarina Prosecco DOC Treviso Extra Dry on the day. There’ll also be a chance for one lucky guest to win a week at luxurious Villa San Toma in the heart of the finest Veneto Vineyards, just a short distance from the fabulous City of Venice.